Moda Blockheads is Now a Quilt! I got up extra early this morning so I could complete my version of the Moda Blockheads sew-a-long on the last day of issue. 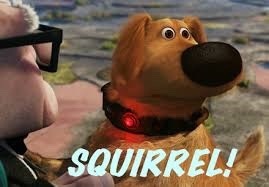 Obsessive you say? Doing this in the potholder method made it easy to complete the block each week. 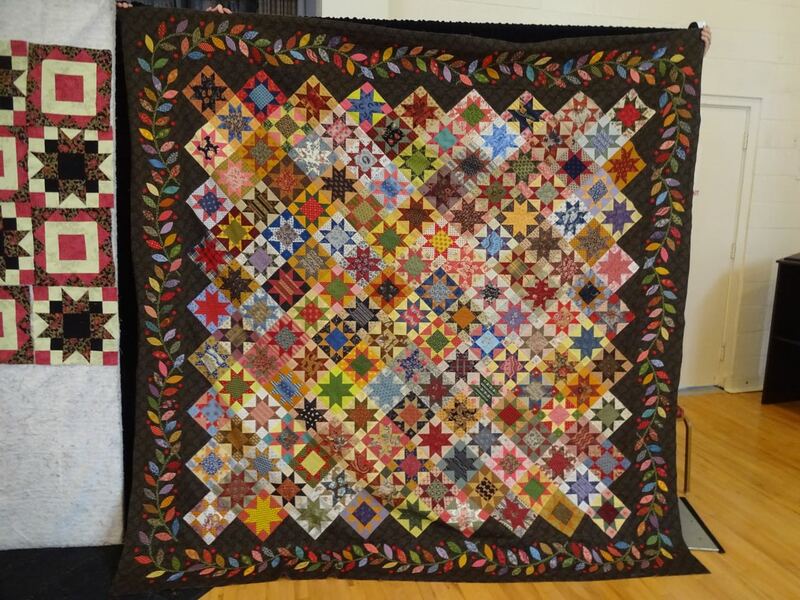 All the pieced blocks were machine quilted so they could be done quickly. I hand appliqued and hand quilted Jan’s blocks so they took a little longer. 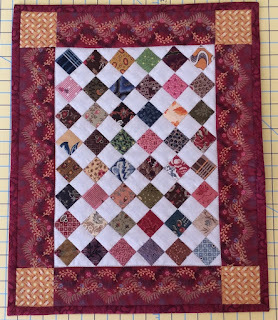 As per my decree that I will name all of my quilts using some sort of cooking reference I am calling this one “Moda Smorgasbord”. My setting isn’t very interesting, but I like the fact that it showcases each designer in a vertical row. I had a lot of fun with this one and I would like to thank Moda and all the designers, Lynne Hagmeier, BetsyChutchian, Jo Morton, Jan Patek, Lisa Bongean and Carrie Nelson. They did a great job putting these all together. I tried to use all Moda fabrics, but I did grab a few pieces from the scrap bin so it isn’t a 100% Moda collection. This will be my donation quilt for the AQSG auction next Fall. 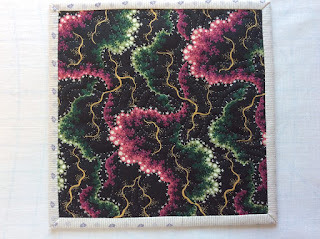 If you are new to my blog and are wondering “what the heck is the potholder method?” You can read more about it (here). I am keeping my obligations light this year, but one sew-a-long I was happy to join was Cecile’s (PatchworkInspirations) Basket sew-a-long. Since the minimum requirement was 16 blocks total and no minimum size, I felt I could handle this. Plus, how could I say no to sweet Cecile? Here are my January blocks. 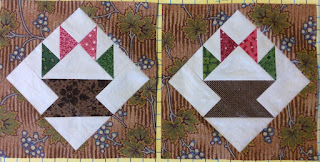 February blocks will be similar but with different setting triangles. I have drawn out the overall setting and I think I’m going to like it! You can also visit Bea and Cecile’s Facebook page (here). Such a wonderful variety of baskets! One down - eleven to go! 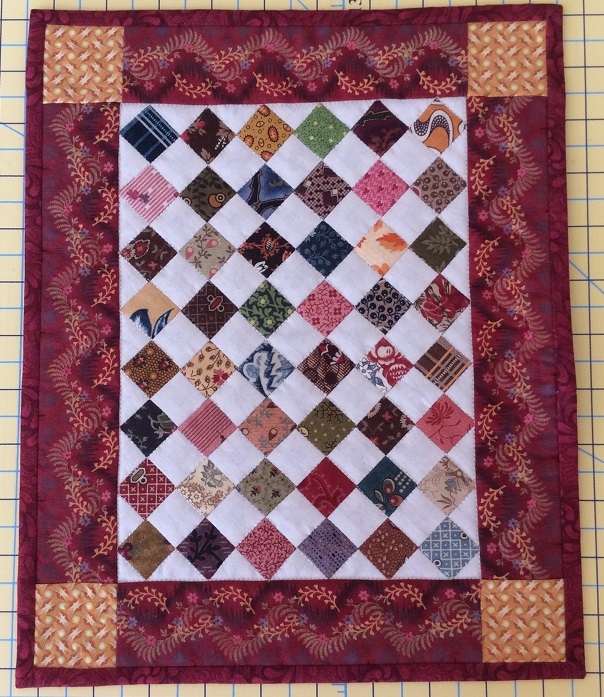 Here is my first “monthly installment” of mini quilts. Since I am doing my ModaBlockheads sew-a-long in the “potholder method”, I had this little bag of leftover bindings. 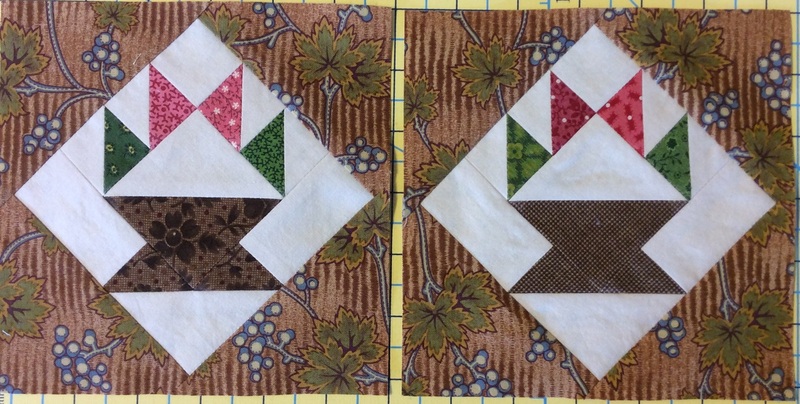 There are 48 weekly blocks, so I cut one 1 ¼” square off the end of each strip and added the off white and voila! Easy peasy. I hand quilted the border following the serpentine, but it doesn’t show in the photo. Next Wednesday (January 31) will be the final Moda Blockheads block. It has been fun to follow along. There are countless interpretations. I mostly follow by the designers Blogs, but there are far more examples on the Facebook page. On to my February mini! 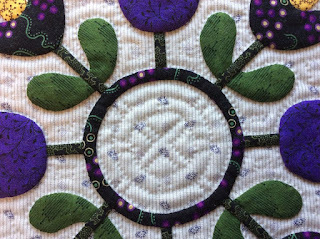 When it comes to my quilts, there are two questions that always come up. From my non-quilting friends, the question is “how long did this take you?”. 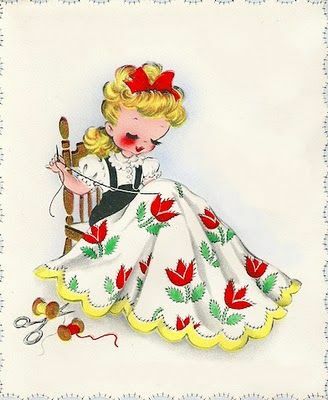 And, from my quilting friends, the question is “how many are you working on now?”. When asked this question last week I decided to look it up. 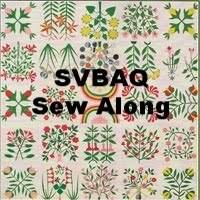 I keep a running list of quilts in my queue which I edit every 4 to 6 weeks. Here is the list. 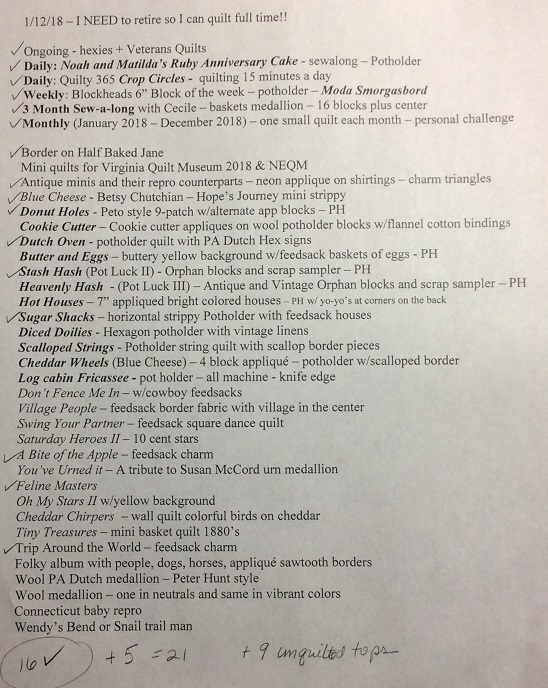 The ones with check marks are quilts that are currently in the works in some form or another. The others (22) are just pipe dreams at this point. 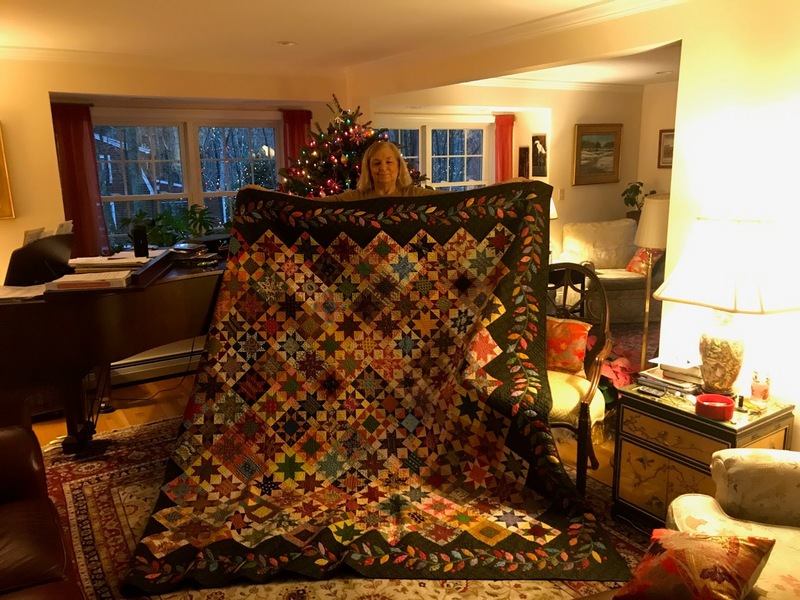 There are 16 with check marks, but I took 5 quilts off the list for the photo since they are all gifts or secrets and I don’t want to run the risk of this going viral! That makes 21 however, I have 9 tops that aren’t on the list since they just need to be quilted, so that brings the total to 30! Of course, this is just a guideline. I often find myself turning the sheet over (so I don’t feel as guilty!) and starting something totally new. 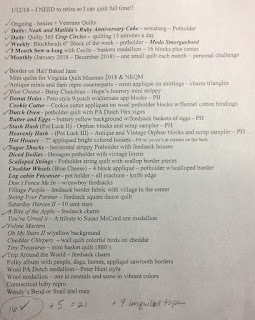 In fact, while revising the list I had a lovely notion, - what if I were to make one small quilt a week for a year? 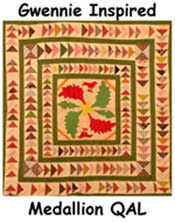 Hundreds of sweet little quilts ran through my brain. It would be a real sense of accomplishment to have 52 little quilts by this time next year. After adding up these “works in progress”, I came to the conclusion that I would be lucky if I could finish one each month! Since I was feeling lucky, I decided that was just what I’d do! After all, 12 little quilts are better than none right? So, I started cutting and voila, the 16th checkmark! Fellow Blogger, Gladi Porche’s opening reception at The New England Quilt Museum in Lowell, MA is this Saturday (January 20) at 11:00. If you are anywhere near Lowell, you won’t want to miss this one! I have been fortunate enough to have seen Gladi’s work in person and her quilts are spectacular! Unfortunately, I will miss the opening for family reasons (all good, I just can’t be that far from home right now). But, I will most definitely get to the exhibition before it closes in April. Here she is with her "We are Stardust". I can't wait to see this one in person! 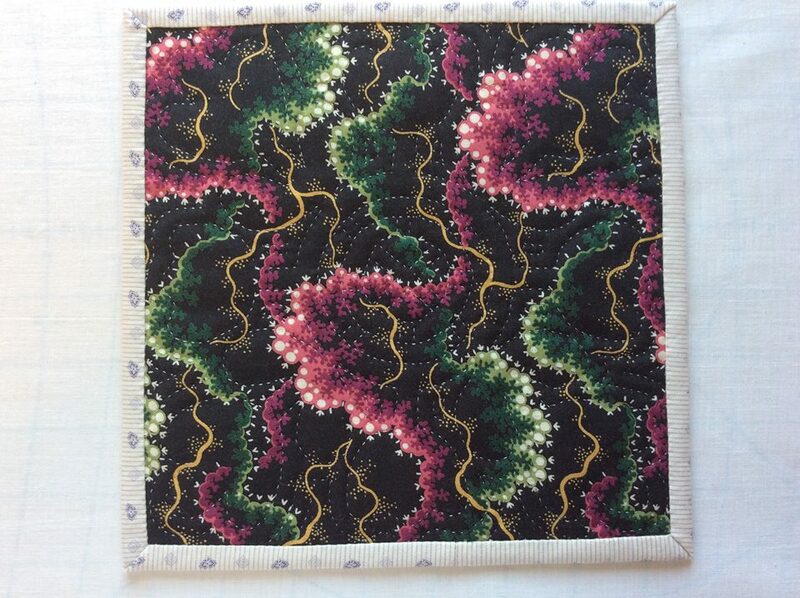 NEQM is also featuring “QuiltsJapan”. These are quilts from the 13th Nihon exhibition in Tokyo. I have seen quilts from this in the past and they are sensational. I hope you all get a chance to see these treasures! Well here we are, 2018! I hope you all had a wonderful holiday. I actually had a few decadent days of delightful quilting. In fact, there was so much peace and quiet in our house that I decided there would be no New Year’s resolutions for me. I’m going to head straight on into the new year with reckless abandon! Noah and Matilda Block 4C - Wow, look at that purple! A bit bold (even for me) but oh so effective with this wonderful neon print. The backing on this one is one of my favorite reproduction neons. It is from an old Pilgrim Roy collection. I've mentioned before, the fact that with a potholder quilt, the back can be as interesting as the front. This is why my backing fabric choices (42 different antique or reproduction neon prints) do not necessarily coincide with the front of each individual block. In the end, you will never notice! Block 5C – I really cheated with this one and once again let the fabric work for me. The yellow & pink flower fabric is from a piece of Pierre Deux fabric I bought on St. Barts in 1993! At nearly $60.00 a meter, I did not cut into it for almost 20 years. I have savored every tiny scrid of it since then. 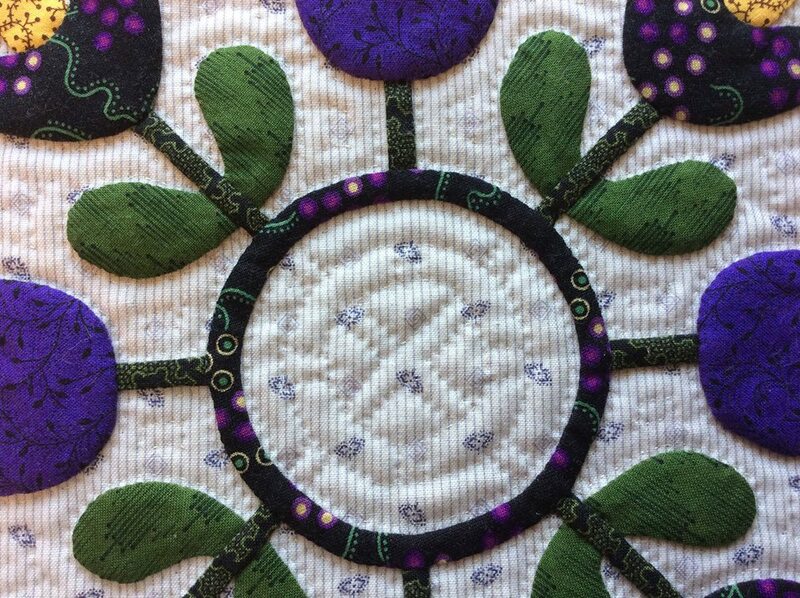 The original pattern has lots of layers in these outer flowers. 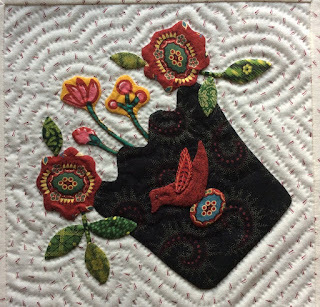 See Dawn’s reproduction block (here) for the proper way to make this block. Her buttonhole stitch is superb! I stitched the binding on my Sapphire Stars mystery quilt (with Kevin the Quilter), but I won’t show the picture yet as this is going to a special veteran and I want to get my picture with him before I post it. I finished my Moda Blockheads block #42 and stitched the next to the last row together. One more row and this fun sew-a-long will be over. You get the picture! So here is my first block. O.k., it is really a Cake Stand, but I have a plan for the overall quilt. Of course we all know how “plans” work. Mine are always subject to change. We will be posting and linking up with Cecile (Patchwork Inspirations) at the end of each month. Stay tuned to see all the delightful creations. 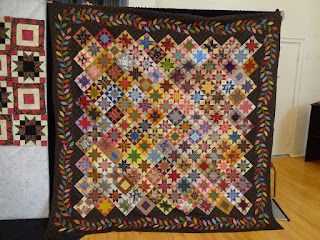 And speaking of creations, well “creativity” really - PrimitiveQuilts and Projects had a great article (here) to help boost the creative spirit. I rarely have a creativity problem, in fact I often find it difficult to squelch my creative brain from beginning too many projects! But, this article was interesting and helpful to me in channeling my energies toward what I feel to be most important. 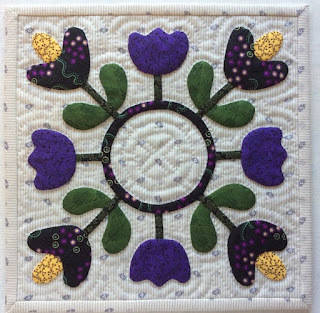 Hope it inspires you in your New Year quilting!